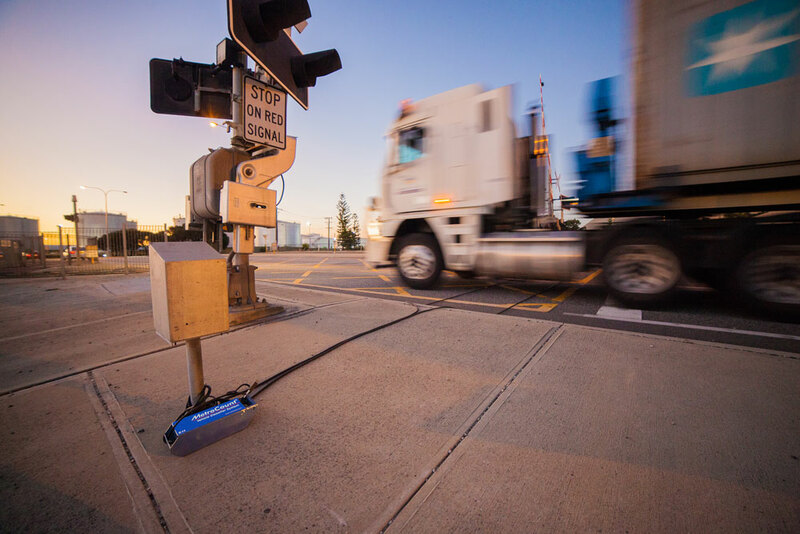 The unique RoadPod® PhaseT incorporates sensors connected to traffic lights or/and boom gate systems. The synchronisation between these signals and the roadside unit enables a clear representation of road activity during each phase and helps identify safety risks associated with insufficient time limits or/and traffic violations. In 2014, SNCF conducted a study in the town of Maisse, connecting the PhaseT counter to the boom gates adjacent to the local train station. The first step to analysing driver behaviour as traffic signals change is defining the signal timing sequences. Across the world, red light running is a major cause of accidents, resulting in thousands of deaths and numerous injuries. The PhaseT enables you to assess the safety at crossings and to identify locations that require video surveillance or other measures. The RoadPod® PhaseT accurately captures the volume of vehicles passing over its sensors during each light phase. The Phase Cycle report enables road managers to establish if phases' durations are sufficient for an efficient flow. The RoadPod® PhaseT is a mobile traffic classifier, storing every axle that passes over its pneumatic tubes. Then, its additional optical fibre interface allows an accurate detection and recording of changing signal phases in parallel with traffic data. To analyse driver behaviour at signalised crossings, it is necessary to define the signal timing sequences. Since traffic light systems and level crossing systems vary greatly across the world, this counter offers different templates to choose from or allows to set up a customised Phase Map in the MTE™ software. In this case, each phase is specified (e.g. descending boom, red flash alert) and their length of time are defined in seconds.